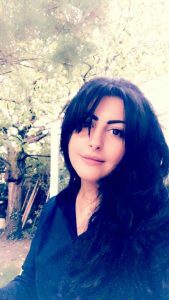 Born in the summer of 1980 in Saudi Arabia, Amal spent her first nine years in Paris with her parents when her father came to do his PhD in literature at the Sorbonne University. When she returned to Saudi Arabia, she got a hold of a paint brush that never left her fingers again and started to paint at the age of 13. After that, she met the Saudi artist Mounira Almousily, who introduced her to painting techniques. Amal took also some courses of painting with the french artist Monique Dollé-Lacour in 1998. In the summer of 2000 and 2001, she did two internships at the Ecole Normale Superieur of fine arts in Paris. In 2003 she returned to Paris again to complete a PhD in psychology. She also became interested in Art as a therapeutic meditation. Therefore, she obtained a college degree in art therapy. Today, Amal lives and works in Paris.